Old rivals Borussia Dortmund and Bayern Munich are set to collide once again in the Super Cup, the German’s annual curtain-raiser. Who will win? 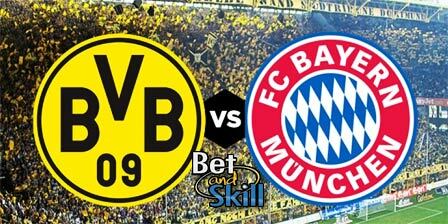 Read this article if you are looking for the best Borussia Dortmund v Bayern Munich betting preview with predictions, betting tips, lineups, team news, best odds, bookie promotion and no deposit bonuses on the football season! 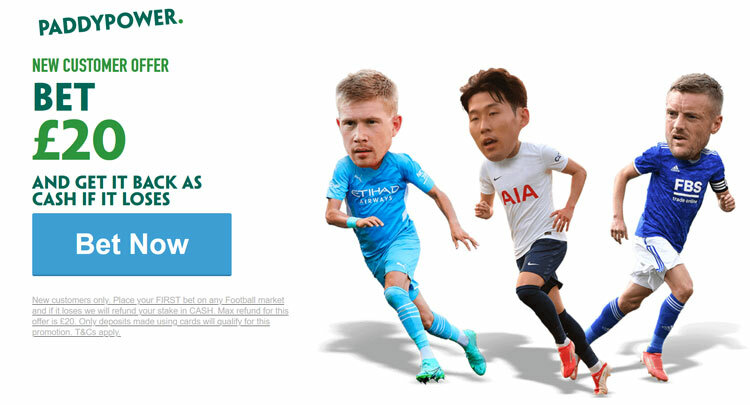 £5 no deposit free bet for UK customers! Exclusive! Borussia Dortmund had mixed success in pre-season with their most notable match was 4-1 win against Manchester United in the International Champions Cup. Since then, Dortmund have played three times, with draws against Manchester City and Sunderland followed by a 1-0 defeat against Athletic Bilbao. BVB have had a very active summer in the transfer market with Henrikh Mkhitaryan, Ilkay Gundogan and Jakub Blaszczykowski leaving and Andre Schurrle from Wolfsburg along with the likes of Mario Gotze, Ousmane Dembele, Sebastian Rode and Marc Batra joining the club. Of course, the main focus will be on Mario Götze who will play as offensive midfielder behind Pierre-Emerick Aubameyang. Ousmane Dembele, Andre Schurrle and Gonzalo Castro also are expected to start. New signing Marc Bartra should make his competitive debut alongside Sokratis in defense. The likes of Matthias Ginter and Sven Bender are away on international duty, while Marco Reus is not yet ready to return from an adductor injury. Bayern were not too much impressive during this pre-season. They recorded an entertaining draw to AC Milan, before losing on penalties to the Italians. Then, they hammered Inter Milan 4-1 before losing to Real Madrid in the ICC 2016. New manager Carlo Ancelotti is pleased with the squad he inherited from his predecessor Pep Guardiola and has resisted any temptation to make any major changes to the squad. The Italian has only lured Mats Hummels away from Dortmund and tempted Portuguese starlet Renato Sanches to the club. Douglas Costa and Jerome Boateng are short of fitness after recovering from injury, while Arjen Robben and Renato Sanches are definitely sidelined. Mats Hummels should start alongside Javi Martínez in his first competitive game while Thomas Muller, Arturo Vidal, Thiago Alcantara and Franck Ribery will support the lone striker Robert Lewandowski up front. The first of last season’s two fixtures reflected Bayern’s dominance over the last several seasons; cruising to a big 5-1 victory at home. In the reverse tie, Dortmund needed a win in "Der Klassiker" to keep their title hopes alive, but the match played out to a tense draw. Borussia Dortmund (4-1-4-1): Burki – Piszczek, Sokratis, Bartra, Guerreiro – Weigl – Dembele, Gotze, Castro, Schurrle – Aubameyang. Bayern Munich (4-1-4-1): Neuer – Lahm, Martinez, Hummels, Alaba – Alonso – Muller, Vidal, Thiago Alcantara, Ribery – Lewandowski.
" Dortmund v Bayern Munich predictions, betting tips, lineups and free bets (German Super Cup - 14.8.2016)"